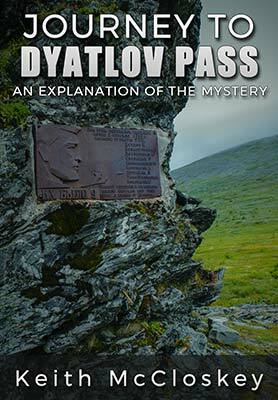 This book describes the author's journey to the Dyatlov Pass in the northern Ural Mountains in the company of Russian Dyatlov "Obsessives". It is also a book for people who already know the Dyatlov story. The physical locations relating to the Dyatlov Incident are examined and discussed as well as competing theories from some of the group members about what happened. The second part of the book takes a critical look at the autopsies. This is followed by an intensive look at some ground-breaking research on the Dyatlov negatives by Valentin Gerasimovich Yakimenko. The final part of the book discusses the statements made by the two senior figures in the investigation and finishes with a scenario as to what may have happened on that fateful night of 1/2 February 1959.